The salty and sweet combination is great; hence, the popularity of “salted caramel” and “chocolate peanut butter” flavors. 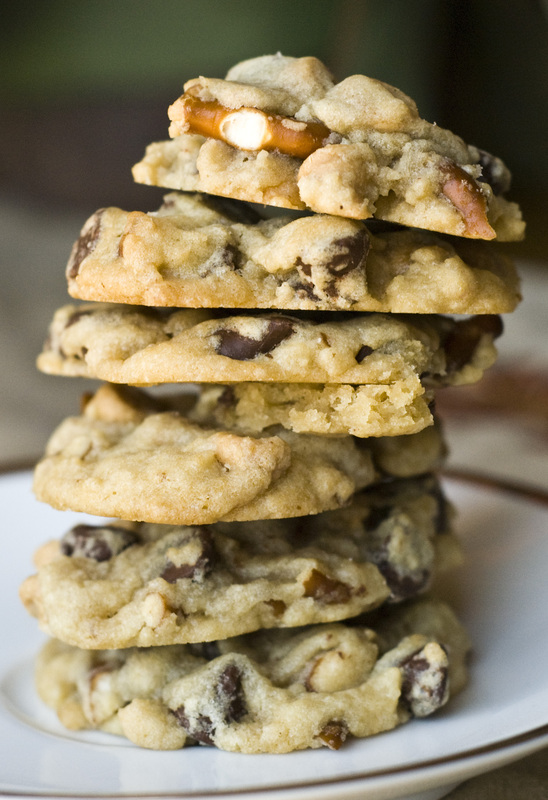 Here is a cookie that combines pretzels, chocolate chips and peanut butter chips. The cookie is something different, but we all agreed it is a keeper. 1. Sift together dry ingredients: flour, baking soda and salt in medium sized bowl. 2. In large bowl, cream the butter and sugars together until fluffy (medium speed about 2-3 minutes). Change mixer to low speed and add egg and vanilla. 3. Add the dry ingredients on low-medium and beat until just combined. 4. Fold in chips and pretzels. Refrigerate the dough for an hour or so if it is too sticky to work with. 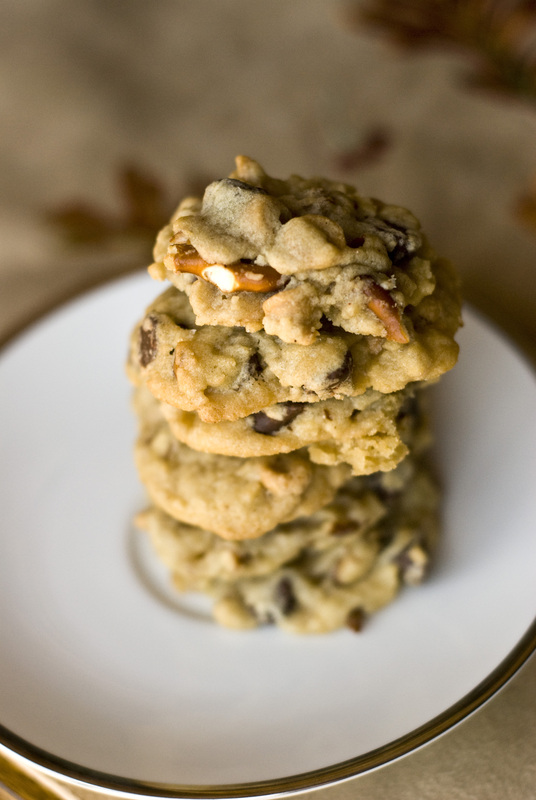 Then you can go ahead and make the cookies or freeze balls of cookie dough – or both! 5. Preheat oven 350 degrees. Drop cookies on greased or lined cookie sheets by a heaping tablespoonful. Flatten the dough out a little bit to shape it into a cookie shape. Sprinkle all the cookies with salt. Bake 10 minutes, or until just barely beginning to brown on the outside. 6. Cool on cooling rack and enjoy!